Getting the chance to ask the author of one of my favourite Fantasy novels a few - maybe an understatement - questions was really exciting! The answers I got back weren't the norm though - instead they were honest and raw, and I really got an insight into how Curley got her ideas for the first book in the Avena series! To celebrate the UK publication of 'Broken' here's the Q&A, where we discuss the choice to write a new series, the multiple narratives, angels and how the idea for 'Avena' came through an illness. Also, the title for the third and final book in the series is revealed! Hello, Sophie, it’s great to be here. For readers who haven't yet picked up 'Hidden' - can you tell us a little about the series? The Avena Series is a paranormal fantasy set on Earth in present time with otherworldly elements. The first book is called Hidden. It is about an angel who was kidnapped at birth and raised to think she is an average human girl, but by the time Ebony turns 16 she realizes she is far from average. When her body starts to change in unusual ways, she begins searching for the truth of who she is. She meets a boy named Jordan with whom she has a deep connection. When he is hurt, the bond they share lights up the heavens, alerting two sides of opposing angels to Ebony’s location. It becomes a race as to who will find her first. The publication of 'Broken', the second book in the Avena Series, is out in a few weeks; what can fans of 'Hidden' expect from it's sequel? Broken begins a few weeks after the battle at the end of Hidden. Ebony has moved in to Nathaneal’s house. Her parents are still missing. And since Broken is the second book in the series, I was able to jump straight into the story without a lot of scene setting. Broken includes Nathaneal’s perspective as well as Ebony’s and Jordan’s. Fans can expect to spend more time with the angels, gaining a greater insight into the worlds they come from. There’s more tension, suspense, romance, twisted loyalties, and plenty of action. When did you decide that the story would be better across three books, rather than just the one? Did you always know it would be more than one book? I knew right from the start there would be multiple books, I just didn’t know if it would be three or four. After working out the plot, writing up summaries for each novel, and a discussion with my editor, we decided the series would work best as a trilogy. Both books are from mainly the perspective of Ebony and Jordan - along with a few exceptions - but whose point-of-view did you enjoy writing from the most? Over the course of my career I have written through the perspectives of both male and female characters. I used to get a little nervous to write from the male perspective, but not this time when I came to writing through Jordan’s eyes. From the beginning, as I worked on his character, I developed a real soft spot for this troubled boy. I was about to pit him against a beautiful angel, a prince, no less. It was always going to be an uphill battle for him. The three main characters of the Avena Series were very different to write from, but Jordan’s was the most interesting and challenging because of his complex personality, borne from his struggling youth, the guilt and shame he grew up with, his negative outlook on life, the turmoil he endures when he challenges his moral code, his fierce loyalties, and the way he loves so deeply. It’s almost like he’s jumping off a cliff every time he sees her. *Ebony, we discover in the first book, is an angel stolen at birth. Where did the idea for this story-line come from? My illness in 2004 was the catalyst for writing a series about angels. While I was battling bone marrow cancer, and during the treatment and recovery phase that followed, there were times I felt as if I was being carried, especially through my darkest days. It led me to the decision that once I was well again I would write a book about angels. I knew about Guardian Angels from my childhood, so the concept of angels helping me survive in real life was not an outrageous concept. But the story-line of an angel stolen at birth was just a thought that popped into my head that I liked so much I immediately wrote it down and worked on developing. There is a lot of world-building that happens in the books; what did you find hardest about creating realms and different creatures? Realms and different creatures are a lot of fun to create, but not always easy to get right. I spend a lot of time with my sketch book and pencils during the creation of a new creature, or the layout of a mythical city. And since my sketching talents are nothing to jump up and down about, these drawings challenge me and stretch my imagination in different ways to writing the narrative. But the hardest aspect for me is making up the names. I try not to make them sound too ordinary or too science fiction. And when possible, I try to find or make up names that add to the story by their meaning. For example, in Book 3, I have a city where the King resides that I call Empyrean. In the dictionary, the word ‘empyrean’ actually means: “the highest part of heaven, believed in ancient Greek and Roman times to contain pure fire or light and believed by some Christians to be the dwelling place of God”. 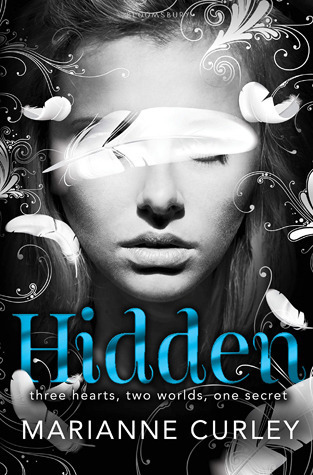 'Hidden' was a book that I rated extremely highly; but how do you react when you see negative reviews? I try not to allow negative reviews to affect me, but I wouldn’t be human if they had no affect at all. I love writing. I wouldn’t do anything else. But it is still hard work, with untold hours over many months, where one must be self-disciplined and content with living a mostly solitary existence. My friends say I live in a cave. But I’m not alone in that cave because my characters live there with me. And after spending a few years together, nurturing them through their challenges and watching them grow; I become attached to the characters as if they’re my children. I read every review that comes across my desk, and if possible I try to take something from it. Sometimes it’s praise, and that’s always good and reassuring and healthy! It keeps me going on the days that can be difficult for one reason or another. And sometimes it’s a mixed review, one that highlights an area of my writing that I could improve. I would keep that comment in mind. But sometimes a review is an exercise in how to write sarcastic ridicule from beginning to end, and serves little purpose except to entertain the reader at the expense of a novel I just spent years creating. But whether a review is praiseworthy or negative they are an import aspect of this industry, and if written with professionalism, no matter what it says about my book, it will have my respect. How do you like to write - is there any music you listen to (if so, what songs did you listen to while writing the Avena Series), any must-have drinks and snacks, or do you have a favourite writing-spot? I write from a room in my house that opens onto a deck that overlooks a rainforest corridor running between my yard and my neighbour’s. My desk looks out through glass sliding doors to the deck where a variety of colourful birds such as Rosellas, King Parrots and Lorikeets come to feed. Along my right side is a window that looks over the rainforest. It’s always fresh and inspiring and I know I’m fortunate to have found this place when I moved up to Queensland six years ago. I always listen to music while I’m writing. A sample of the songs I listened to while writing the Avena Series included: Rihanna’s “Diamonds”, A Great Big World with Christina Aguilera’s “Say Something”, Plumb’s “Cut”, Bruno Mars’ “Young Girls”, Christy Nockels’ “Waiting Here for You”, and Evanescence’s “My Immortal”. I put together a Playlist of these songs HERE. I start my writing day at 7:30 am with yoghurt and a piece of fruit, followed by a cup of coffee at my desk. I try not to snack through the day, but I always have Werther’s Original Cream Candies nearby for when I’m thinking really hard and need a distraction. I only drink water – and coffee, three cups a day. I have a necklace of colourful beads that my three-year-old granddaughter made me hanging from my desk lamp that I wouldn’t be without. What is the one book that you wished you had written? majority of them. 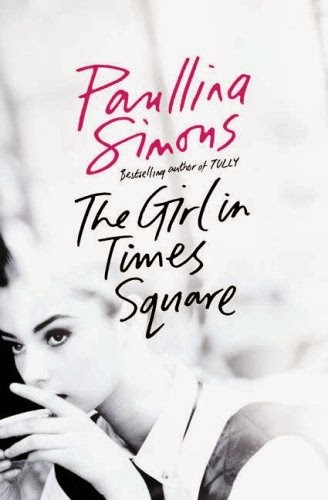 But If I had to pick one that I wish I had written it would have to be: “The Girl in Times Square” by Paullina Simons. First published in 2004, this book was a new release when I was recovering from cancer. My daughter read it first and passed it to me knowing I would love it, not because it was a stunning and contemporary love story with a strong mystery theme, but because of what the main character endures and how I would relate to her on a deeply personal level. It wasn’t my childhood dream to become a writer. I wanted to be a teacher. After I became a teacher in an adult college I realized I wanted something more, and since I loved to read and always had a story running like scenes in a movie inside my head, I decided to try writing a book. But first I took writing courses and after encouraging comments from my tutor, I became seriously focused on making writing my career. I was 34 years old. Four years later I had an offer to publish my first book, Old Magic. 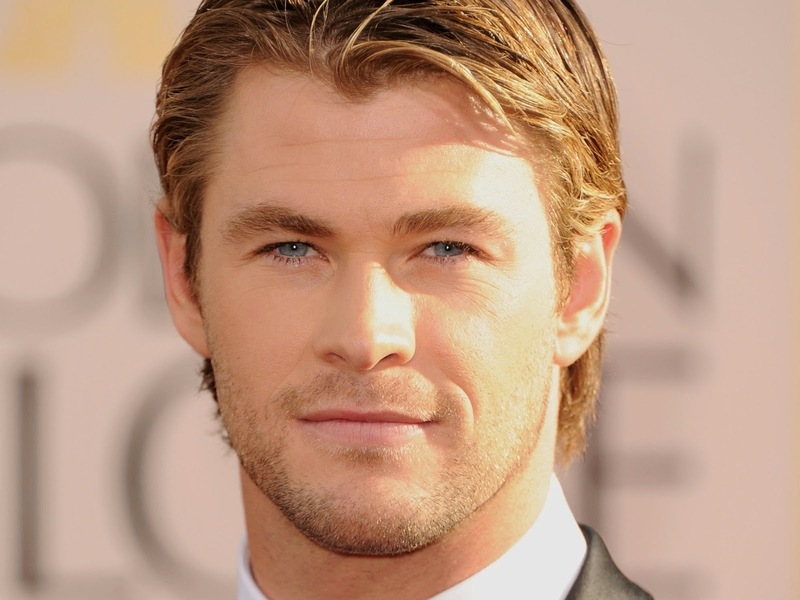 If 'Hidden' was to be made into a film, who would you cast as the main characters? I have to ask - is there any news you can give us on the next book in the series? Will it be the final one? It can be a tough decision when to end a series, but I have done so with Book 3. Sometime in the future I would love to write a new set of books based on the same characters, or other characters pulled from the series. I’m pretty sure the angels are not finished telling their stories yet. And neither are the humans of Cedar Oakes or Mount Bungarra. It’s a little too early to tell you anything specific about the third and final volume of the series, but I can announce the title of Book 3. I have called it: “Fearless”. Thank you very much Sophie and A Day Dreamers World for inviting me to share a bit of myself, and for the opportunity to talk about my novels. Hey Sophie! I read as much of this interview as I could without spoiling myself and it's made me even more excited to read Hidden. To be honest I had low expectations due to the mixed reactions it's recieved but I borrowed it the other day and I'm liking what I've read. Great interview ladies! I absolutely loved Hidden, I definitely would recommend it! I hope you enjoy it despite the mixed-reviews!